Approximately 1900 Sq Ft. 2012 Upscale Manufactured Home. 4 Bedrooms 2 Full Bath Living Room, Den, Large Island Kitchen, Refrigerator, Range, and Dishwasher, Pantry, Dining Area, Master Bath w/His and Hers Vanity Garden Tub Separate Shower. Central Heat and Air Private Well and Private Septic, 2.66 Acres! 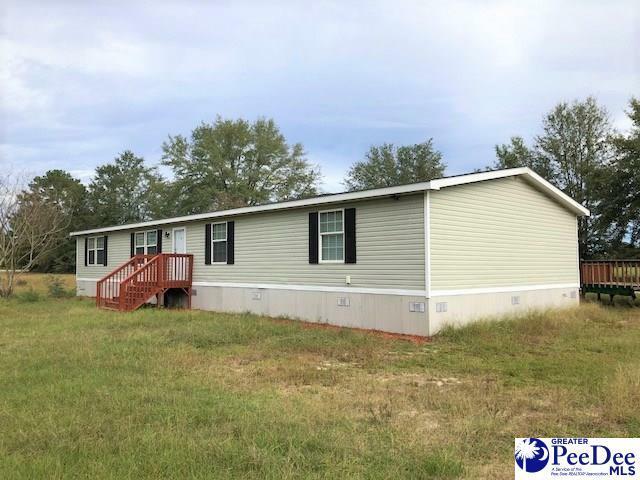 Listing provided courtesy of Coye Sanders of Carolina Full Service Realty Inc. © 2019 The Realtor Association of the Greater Pee Dee.